Read reviews, preview the book, watch lectures by the author and more . . .
WOMEN AT THE CROSSROADS: A WOMAN'S PERSPECTIVE ON THE WEEKLY TORAH PORTION addresses the single, most fundamental question defining Judaism today: What is the modern Jewish woman’s role – with all of her creative talents, intellectual capabilities, nurturing instincts and career interests – in a traditional Jewish society that seemingly restricts women to the home and, at best, menial workplace tasks? How can the dynamic woman in today's world relate to the women of the Bible, who stand “in the tent,” behind their husbands, absorbed in family life? Women today have more freedom than at any time in history. Yet, with this freedom, comes choices about how to balance family, work, community and self. A closer look at the women of the Torah – through the eyes of biblical commentators from past centuries until today – reveals the unique feminine qualities endowed to all women by G-d to help guide their daily decisions and relationships. Placing traditional commentators, such as Rashi and the Ramban, side-by-side with Chassidic masters like the Meor V’shemesh and modern commentators including Rabbi Aryeh Kaplan, veteran Torah teacher and visionary Rebbetzin Chana Bracha Siegelbaum weaves together the strands that make up the tapestry of life for the Jewish woman – while showing how much she can learn from the Torah of the Mothers. ". . . the highest achievements of Jewish femininity are accomplished specifically through fulfilling the traditional role of women in Judaism, rather than by attempting to imitate the more masculine Jewish rituals . . . the processes of pregnancy, birth, nurturing life, and personal prayer bring us much closer to Hashem than the experience of being in the spotlight by leading prayer services or officiating as rabbis." 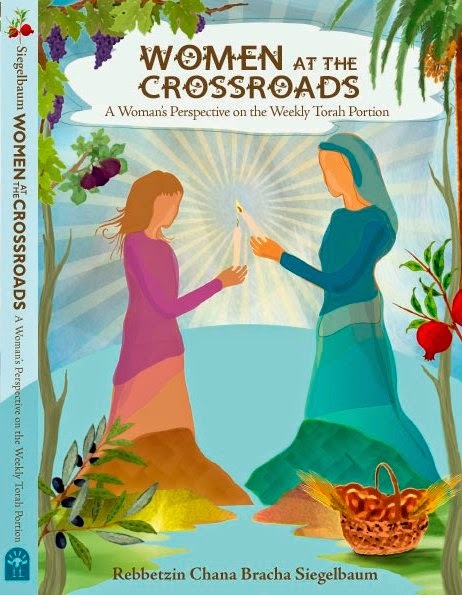 Women at the Crossroads: A Woman's Perspective on the Weekly Torah Portion, published by Midreshet B'erot Bat Ayin and distributed by Urim Publications, is available for purchase at $18.95 online at http://www.berotbatayin.org/, by email at info@berotbatayin.org or by phone at (02) 993-4945. 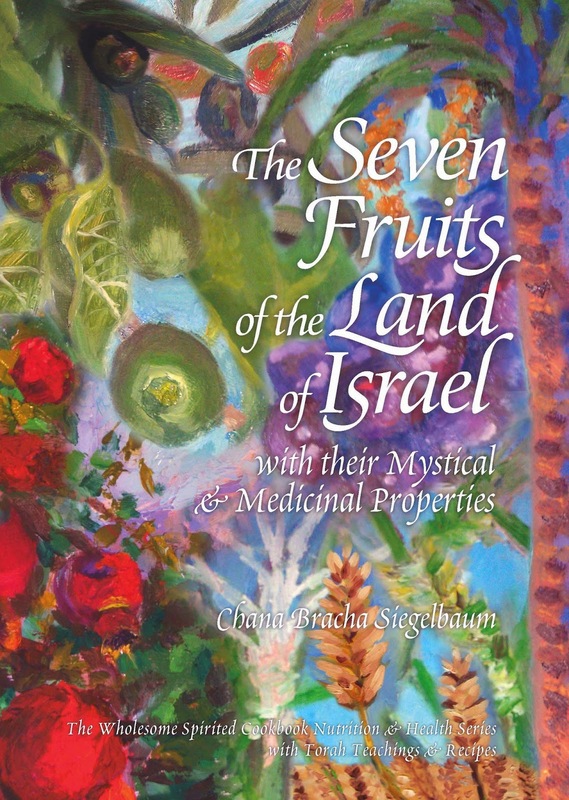 The Seven Fruits of the Land of Israel with their Mystical & Medicinal Properties, by Rebbetzin Chana Bracha Siegelbaum, is a book that every woman must own. I am so in awe of all what she has put together in this book. It will be an enhancement to anyone’s library. The book will also make a beautiful bat mitzvah or wedding gift. My soul resonates within as I read about each of the species. I can almost feel my body responding to the nurturing within the species and the land. Not only does Rebbetzin Chana Bracha go into each of the Seven Species, she also gives Kabbalistic background and insight from Torah and the Talmud. The book is, moreover, full of wonderful recipes for each of the Seven Species. It is even more inclusive than I had hoped. It includes both food for the body and soul. I cannot wait to get copies to give as gifts. All information is organized wonderfully to flow easily from one topic to the next. While I was learning at Rebbetzin Chana Bracha’s Midreshet B'erot Bat Ayin, she gave a weekly class about the land, herbology, nutrition and health. She would patiently teach about each plant or herb and what they could be used for as well as demonstrating how to use it. Her expertise was extensive as well as informative. Reading The Seven Fruits of the Land of Israel and looking at its beautiful artwork and photos transported me back to Rebbetzin’s class and expanded her lessons. My heart and soul were dancing as I read and put myself into the pictures. I could even feel myself transported back to the time of our Matriarchs and imagine that this is what they did and how they would use the various species. As a clinical nurse specialist, I can appreciate the medicinal information in the book. I feel that the topic of plants in the Torah is an important part of our heritage that comes alive for us as Rebbetzin Siegelbaum discusses each of the seven special fruits mentioned in the Torah. Almost 3000 years later these same special wheat, barley, rye, oat, spelt, grapes; figs, pomegranates, olives or dates that sustained our ancestors are sustaining us. When we learn about these holy species as she discusses them, we can feel more in touch with our own history and appreciate these gifts even more. We become aware of how we are blessed through the Seven Fruits of the Land of Israel. I am wholeheartedly convinced that this book is an awesome project that will bring us closer to Moshiach! Thank you Rebbetzin Siegelbaum for such a treasure.